When sixteen-year-old Angie Chapman walks in the front door of her house, everything looks the same. The same, but not quite. Why is her handsome father's black hair completely grey? Why does her mother collapse in tears? Then they tell her: she has been missing, presumed dead, for three years. But while Angie can't recall a single detail of where she has been or how long she's been gone, there are people who do remember. People who can tell her everything. If only they weren't locked inside her mind. Is she ready to learn the truth about Pretty Girl Thirteen? It's not often you pick up a book that you'll never forget. That takes your emotions and scatters them across the floor. 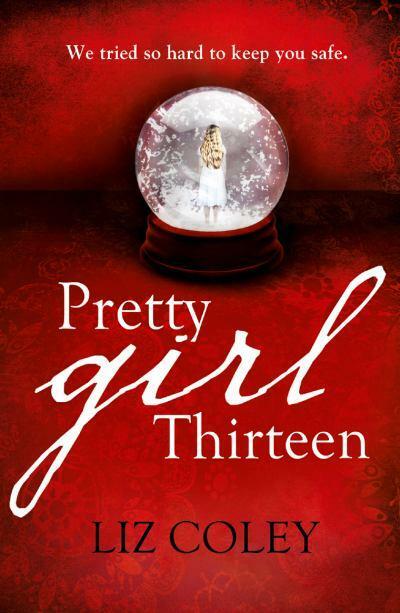 Pretty Girl Thirteen is this type of book. It's concept is a tough read, but one you can't put down. Of course, it's a book for more mature Young Adult readers but it's a really important read. Also very unsuspecting, I thought it would be a fantasy novel where it turned out to be a thriller. 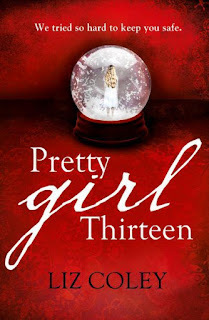 Pretty Girl Thirteen is a haunting, harrowing and gripping read that is also heart-breaking and powerful. When I wasn't reading this, I was thinking about it. Angela Chapman has been missing for three years, and she doesn't realise it. Nor until her parents tell her, when she arrives home one day from what she thinks was a short camping trip, and they explain she was presumed dead. The novel is about unravelling what happened in the three years she has been away. The problem is, the people who do remember are locked inside her mind. Then you are faced with the question of how horrifying the truth may be. After a few chapters, the discovery takes place that she has Dissociative Identity Disorder - a mental disorder where a person has more than one personality, that has protected Angie from the truth. Her 'personalities' kept her hidden while they lived the abuse for her. I found this concept so interesting, intriguing but also shocking. The way the story was told allowed what happened to Angie to slowly become undone, and as she learnt more, she also had her 'normal' day to day life to live. This book definitely deals with topics that are all too real in our society. It's an important story to be told, but frightening and something that will haunt you. I mean, I found myself sobbing throughout this book and I applaud Liz Coley for not shying away from a subject like this. I mean, it was enthralling, un-putdownable and heart-breaking. It had it's fair share of twists and turns in it's plot, I've never had such a roller-coaster ride inside a book. There are three main events that stand-out, as well as getting to know the 'alters' that have tried to keep her safe from the truth. I loved how the author was able to created all these different personalities, and make sure they all had a role in Angie's life. As for the character's, I soon found out there was a back-story to them all. One character I thought was really well realised was Angie's dad, who although I wanted to tell him to stand up and stop feeling sorry for himself, by the way I understood him at the end. I thought it was the perfect reaction, because he felt guilty for not being able to protect his daughter from what had happened. I also never thought things would happen, the way the 'alters' would reveal things that would cause anger to bubble inside of me. Angie, what can I say? She was an amazing, and inspiring female. She had to accept what had happened, missing three years of her life and being used. There are scars on her wrists and around her ankles, and the only thing that happens is that she discovers more. The way she dealt with it, was not feeling sorry for herself but wanting to recover. The ending made me love her even more. Honestly, at times I couldn't quite believe what I was reading and how the family couldn't accept a certain point in the novel. One thing I would point out, although the ending was wise, I wanted more. I wanted there to be an Epilogue, or for there to be more information. I mean, there were two things I wanted to know. It made sense at times to not say, but then the part of me that needs to know every detail wanted it. But, just read this book! Although I have to say it's definitely for more mature audiences. Angie deals with years of physical abuse and this novel is upsetting. Completely worth the read nevertheless. As you can see by the length of my review, I can't justify how powerful, moving and quite frankly, frightening this book was. Everyone needs to experience this, in all it's haunting ways. Hi Sophie! What a professionally written review, seriously. This to me sounds like a great mystery that's a little bit scary. Lovely Review, I'm definatley intrested to see what will happen. Thank you so much! I changed my style for this one, as it was just so good. Upsetting, yes, but haunting. I'm still thinking about it now. I hope you get the chance to read it. Thank you so much! It's really good, I can't say I've recovered from it yet.